3 Blinds Nice are the professional’s choice for installation of vertical blinds within office premises or the home within South Wales. Perhaps you require a large office building to be refurbished and for the installation of quality blinds throughout, or perhaps on the other hand you just require a single vertical blind for your home office. Whatever you require we can help with your blind requirements. Many companies and homeowners contact 3 Blinds Nice because they have struggled to find a blind shade and design that they have always wanted. Many companies are now choosing blinds to match in with their corporate colour schemes- we can help to achieve this. On the other hand perhaps you have an individual taste within your property and you want your blinds to complement this sense of style. Why many find DIY installation of vertical blinds a frustrating task! Many people buy set measured blinds, yet they can find that the installation can be a labour, and not a labour of love but frustration! Sometimes the aluminium head rail for example needs to be cut down to size, and also sometimes the individual slats also. If this job is not done correctly then this is where home installation or office installation of blinds can look unsightly, and rather messy. This is why you may require the services of 3 Blinds Nice to offer you professional installation of blinds within commercial, residential premises throughout Cardiff or any of the neighbouring areas such as Cowbridge and Penarth. Also you can specify more features that you may want from your blinds. Perhaps you would like a wand system to operate your blinds or perhaps a quality cord system instead. Whatever you require from your blinds we can help. Perhaps you are elderly and require a longer chain or blind wand to operate your blinds- this is where you can put your individual stamp on your blinds often more so than if you were to buy retail. Do you want special features added to your blinds, for example blackout, water resistant, longer pull cords then why not contact 3 Blinds Nice for everything you require. 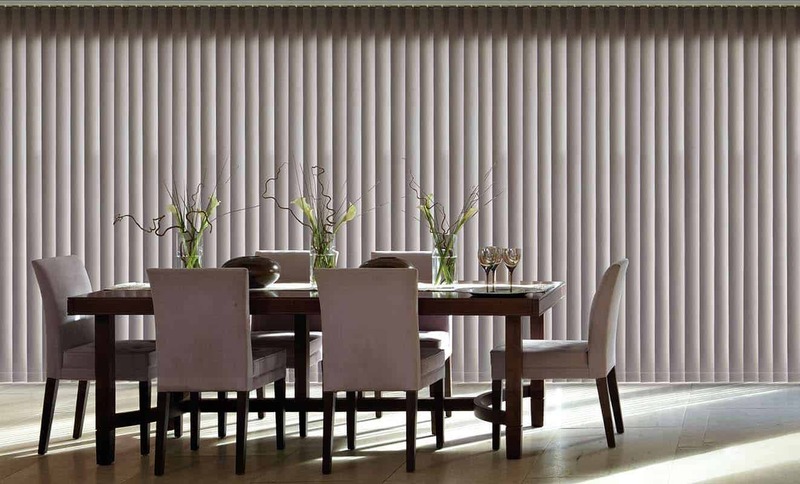 We can even supply remote operated blinds for those who really want to show off at a dinner party. Often if you are having new blinds fitted throughout your home sometimes people are swayed by the price point of the blinds, and not by the quality. Although often low quality, cheap blinds can often present a headache later on. Sometimes the blinds are manufactured using cheap glues for example that can unravel during high heat levels exerted on the blinds. So if you have a blind that is fitted close to a radiator or a window which sees a lot of summer time sun, then think about receiving quality blinds if you want them to last. Sometimes also the mechanisms used to move the blinds from side to side can break due to low quality chords and mechanisms used in manufacture. It’s worth therefore contacting a professional blind installation company that operates throughout Cardiff and the surrounding regions. We can put in professional grade blinds that can make a real statement piece and offer higher quality levels compared to some retail versions of blinds. If you are installing blinds in a large quantity in your office or home, then why not contact us today to see if we can offer you a discount on large quantities of one type of blind. Some offices have a huge amount of window space and doors to cover, this is where you can find value in an experienced blind installation firm in South Wales that can offer you discounts on large orders. No matter if your office is in Swansea or it is in Cardiff, we can travel to you and give you a no obligation quotation on your blinds. Contact us today.